Sensex Nifty declined on the Union Budget Day owing to a multitude of negative or at least not-so-positive cues that include re-imposition of 10% tax on the long term gains to the tune of Rs 1,00,000 when equity and equity mutual funds are sold after holding for over one year. Besides this, there was no positive cue for the corporate sector, while government expressed a lot of commitment to the agrarian sector in the Budget Speech. Sensex had fallen by 463 points to the day's low of Rs 35,501.74 against the previous session's closing of 35,965.02. Nifty had also fallen by 148 points to 10,878.80 against the previous session's closing of 11,027.70 points. The BSE Sensex rose initially beyond the 36,100-level, while the NSE Nifty rose past the 11,050-level, before paring some of the gains. The caution emanated from the disproportionate focus on rural economy. Arun Jaitley said that emphasis is being given on generating higher income for farmers. "The government wants to help farmers produce more and realise higher prices. We are firmly on path to achieve 8% growth. The Budget will focus on strengthening agricultural and rural economy," Jaitley said. As the FM's speech chiefly focusses on soaps for rural economy, the capital markets didn't seem enthused. Among Sensex stocks, Larsen & Toubro (L&T), Mahindra & Mahindra (M&M), Tata Consultancy Services (TCS), IndusInd Bank and Hero MotoCorp were the top gainers. Sensex stocks are believed to be over-priced since the price/earnings (P/E) ratio is currently at 25.42. Sensex rises 34 points, or 0.09% to trade at 35,999 points. Nifty rises 8 points, or 0.07%, to trade at 11,036 points. The caution prevails on the re-introduction of 10% tax on long term capital gains (LTCG) on the gains amounting to Rs 1 lakh or above. Sensex swings back to green as it surges 235 points to trade at 36,200 points. Nifty rose 34 points, or 0.31%, to trade at 11,062 points. Sensex had fallen by 463 points to the day's low of Rs 35,501.74 against previous session;s closing of 35,965.02. Nifty fell by 148 points to 10,878.80 against the previous session's closing of 11,027.70 points. Sensex edges up 80 points, or 0.22%, to trade at 36,046 points. 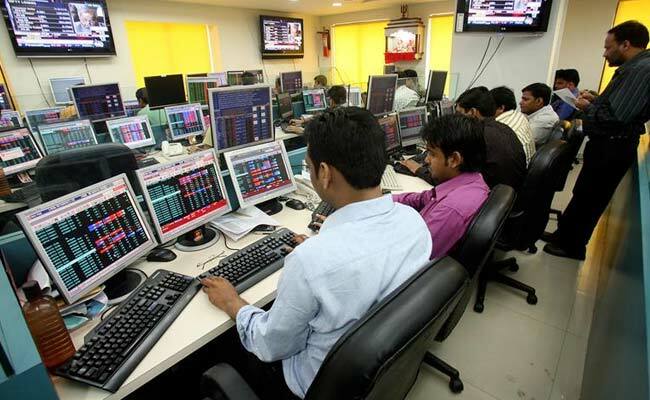 Nifty trades slightly higher by 10 points, 0.09% to trade at 11,038 points. This happened after finance minister Arun Jaitley announced 10% tax on long term capital gains (LTCG) of Rs 1,00,000 or above on equity or equity mutual funds. BSE Sensex sheds a whopping 360 points from the day's high of 36,227 points to plunge to 35,866 points. Similarly Nifty sheds 110 points to decline from the day's high of 11,103.5 points to 10,992.8 points. The trigger seems to be the disproportionately higher focus on rural economy in the Budget speech. The S&P BSE Sensex 30 falls 27 points to trade at 35,938 points against the intra day high of 36,227 points. The NSE Nifty 50 trades marginally higher at 11,043 points against the day's high of 11,103 points. Sensex pares early gains and trades just 139 points, or 0.39%, higher to trade at 36,104 points against the day's high of 36,226.97 points. Similarly, The NSE's Nifty 50 pared some of the gains to trade 44.7 points, or 0.41%, higher to trade at 11,072 point against the day's high of 11,103.50 points. As the Budget speech primarily focusses on soaps for rural economy, the capital markets don't seem enthused. Farm focusssed stocks surge. Arun Jaitley said, "PM gave clarion call to double farmers income by 2022. Our emphasis is on increasing their incomes." Bonds were range-bound, with the benchmark 10-year bond yield flat at 7.43 percent, reported Reuters. The rupee weakened to 63.6650 from its 63.58 close on Wednesday, tracking a stronger dollar after the U.S. Federal Reserve signalled its confidence about inflation and growth in the world's biggest economy. Investors in India are keenly waiting to see how much India widens its fiscal deficit for the year starting in April, from the current projection of 3.0 percent of gross domestic product. A Reuters poll showed most economists expect a 3.2 percent deficit as the government looks to increase investments in key areas such as agriculture to bolster its prospects in upcoming elections. "If the budget is committed to fiscal consolidation and there is no additional tax burden on capital market investments then it will be welcomed cheerfully by investors," said Sudhakar Pattabiraman, head of research operations at MarketSmith, which is part of financial services provider William O'Neil, reported Reuters. Sensex jumps 225 points, or 0.62% higher to trade at 36,190 points. Nifty rises 63 points, 0.57% higher to trade at 11,091 points. L&T, TCS, M&M are top gainers on BSE an NSE. Tata Steel, Infosys, PowerGrid, NTPC, DrReddy's Labsand SunPharma fall between 0.50% to 1.29%. TCS, IndusInd Bank and ONGC are among the top gainers. BSE Sensex opens 83.97 points higher at 36,048.99 points, Nifty rises 16.85 points higher at 11,044.55 points. BSE capital goods index is the maximum BSE gainer as the index jumps by 2.26%. Thermax rises by 4.8%, Larsen & Toubro (L&T) rises by 3.36%, Kalpat Power rises by 3.31%. Sensex trades 154 points, 0.43% higher to trade at 36,119 points. The NSE Nifty trades 37 points, 0.33% higher, to trade at 11,064 points. L&T, M&M, TCS are the major gainers. In the pre-open session, 30-share Sensex trades 36,068 points, 103 points higher. The early signs offer optimism to the traders. Larsen & Toubro(L&T), Tata Motors, Asian Paints, and SBI(State Bank of India) are the major gainerson BSE. Budget 2018-19 could possibly set the direction for the market for near term, says HDFC Securities. Deepak Jasani of HDFC Securities says Nifty has support immediate support at 10975. If this level is broken, then markets may see a correction, he added. Nifty had closed 22 lower at 11,027 on Wednesday. From Budget 2017 to Budget 2018, the Sensex is up nearly 30 per cent. Midcap and smallcap stocks have seen bigger rally. If the government sticks to the fiscal deficit target of 3.2 per cent or even below that in Budget 2018-19, stock markets could see a rally while bond yields could also fall sharply, say experts. Sensex and Nifty would be focused on the fiscal deficit for 2018-19, to be announced in Budget 2018-19. The Dalal Street is expecting Finance Minister Arun Jaitley to peg fiscal deficit target in Budget 2018-19 at 3.2 per cent, higher than the 3 per cent envisaged by the Fiscal Responsibility and Budget Management (FRBM) Act. A fiscal deficit above 3.2 per cent could hit Sensex and Nifty and send bond yields higher, say experts. Sensex and Nifty are set to open higher ahead of Budget 2018 with Nifty futures on Singapore exchange trading 28 points higher. Asian markets are mostly higher after US Federal Reserve kept interest rates unchanged overnight. However, the Fed said that inflation is likely to rise further this year. The Wall Street also ended higher, leaving a positive global cue for Indian stock markets.